Heart shapes can be found in nature, if you’re lucky enough to see one. The heart shape on Jabu’s trunk was easy to spot when I first met him – a ridged outline high up, just below the level of his eyes, about a foot tall and half a foot wide. One of his wrinkles pierced the heart, straight as an arrow, from left to right. Now that he’s an older elephant, his trunk has grown broader, and the heart is harder to find. I can still see the outline of it, but it’s not easy to make out. The shape of the heart on Jabu’s trunk is a Valentine’s likeness, the kind you see carved into trees. An elephant’s heart has two points at its ventricular apex – which makes it look like an apple, instead of the red caricature on cards we give to each other once a year. You’re unlikely to see an elephant’s heart carved onto a tree. Jabu’s heart hangs between his breastbone and ribs, a little to the left, like mine does. When I stand near Jabu’s side, our hearts are close to each other, one-point and two-point, Lupp-DUPP, Lupp-DUPP, Lupp-DUPP. Hearts have the same basic pump-like design – a design that has worked through eons -an ancient blueprint, a master timepiece, a blueprint followed by even the tiniest of creatures. A day or two after fertilization, embryos develop a pinpoint that pales, then brightens, pales, then brightens, the beginnings of a tiny pump emptying, filling, emptying, filling. Of all the body’s organs, the heart is the only one that doesn’t get cancer. Of all the body’s organs, Egyptians mummified only the heart. The length of Jabu’s heart is twenty-two inches; its width eighteen. His heart weighs around forty-four pounds, almost the same as a medium-sized dog. Still, it’s less than 1% of his body weight, a common proportion among large mammals and humans. My heart weighs only ten ounces, less than 1% of my body weight. The human heart is approximately five inches long, three-and-a-half inches wide, and shaped like a pulsing cone. It is the only muscle in my body that acts on its own – it doesn’t need any messages from my brain. The cells in my heart tissue involuntarily twitch, all together, all at once, over and over, a synchronous soft perpetual-motion machine. Rip my heart from my body, chop it into pieces, immerse the pieces in a saline solution, give them a small jolt of electricity, and the remnants of my cardiac muscle will contract . . . contract . . . contract . . . for several minutes, all on their own, all at the same time. A whole undamaged heart will beat for five to ten minutes before it dies from lack of oxygen, from lack of blood. It’s built to be strong, our hearts. Mouse, hummingbird, elephant, human, snakes – we all have roughly two-and-a-half billion heartbeats for our lives. Species with faster heartbeats die sooner, rapidly using up their allotment within their short lives. An elephant’s heartbeat is slower than ours. Like us, elephants may suffer from cardiovascular disease and die of heart attacks and strokes. is gone. The gurgle of digestion, all the silky, sturdy, slapping noises, the blood rush, gone – the symphony of the body finished. For those of us left behind, its silence is almost too much to bear. But somehow we do it. Somehow, the world beckons us back in. 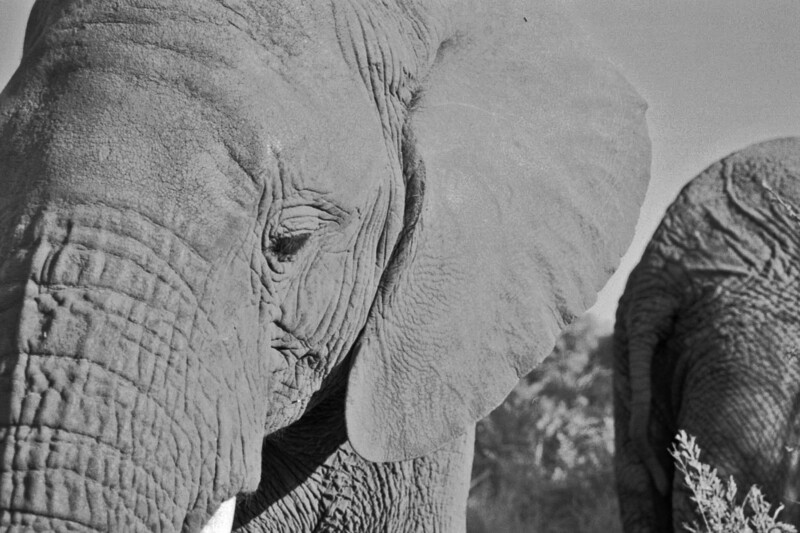 Here’s a little fairy tale: Once upon a time, elephants lived to a rhythm of their own making. There were no elephants in captivity. They were captured only in legend, in song, painted onto walls of caves, etched on the flat sides of rocks. There were no elephants on reservations, in circuses, in sanctuaries, or zoos. No elephants were murdered solely for their tusks. They were not orphaned by the slaughter of their families, nor made to endure solitary confinement, leg irons, beatings, prods, and electric shocks. They were not enslaved. They were not used as vehicles of war. They were not made to wear radio collars, jeweled headpieces, or bear intricately carved wooden howdahs on their backs. They did not carry princes, or hunters, or loggers, or performers, or tourists. They were not forcibly relocated from the land of their birth. Most died of old age. Once upon a time elephants knew a landscape without fear, without fences, a landscape empty of humans. Once upon a time, elephants were everywhere.